There is still one aspect where today’s modern flat-panel 4K TVs do not cut it: Sound. With the latest OLED and QLED technologies, modern, thinner and space-saving flat-panel 4K TVs deliver the best picture quality we have ever seen. However, these leave them with no room to fit in good full-range speaker drivers, often resulting in sub-standard dialog, thin sound and inadequate bass. That's where soundbars come in to provide an immersive audio experience. There are several tips to look out for when choosing the right soundbar system. We have added a comprehensive comparison table and 2019 soundbars comparison for you to make the best purchase decision. Subwoofer 2 x Wireless 10" 2 x Wireless 8" 1 x Wireless 6.5" 1 x Wireless 6.5" 1 x Wireless 10"
With the latest OLED and QLED technologies, modern, thinner and space-saving flat-panel 4K TVs deliver the best picture quality we have ever seen. However, these leave them with no room to fit in good full-range speaker drivers. As an alternative, small built-in TV speakers are usually embedded behind or underneath them, often resulting in sub-standard dialog, thin sound and inadequate bass. So, how do people match their 4K TVs with immersive sound? Some soundbars today can effectively contend with full-featured surround sound systems . Slim, easy to setup and affordable, they have evolved from singular, rectangular-shaped speaker boxes with only 2 enclosed speakers to high-performance multi-channel surround soundbar systems. The latter can now deliver theater quality immersive surround sound experiences without the complexity and hassle of assembling traditional AVR-powered surround sound systems. It is no surprise that there are many soundbars available in the market today, ranging from “simulated surround” soundbars as low as $100 to “true discrete surround” soundbar systems, some of which come with two subwoofers and multiple surround speakers that cost more than $1,000. There are several tips to look out for when choosing the right soundbar system. We have added a comprehensive comparison table with the top reviewed soundbars for you to make the best purchase decision. Disclaimer: All product images, lifestyle images, brand names, brand logos, model numbers and technology logos on this page belong to their respective copyright holders. Click to open and download the image of "Types of Soundbar". To get life-like surround sound that is true to the cinema experience, multiple speakers are needed. In soundbars, there are 2 ways to achieve surround sound. Click to open and download the image of "Virtual Simulated vs True Discrete Surround Soundbar"
Do you need a subwoofer? Do you like to get your adrenaline pumped from chest-thumping explosions and low-rumbling thunder effects? If your answer is yes, you probably do need a subwoofer. The subwoofer is a key component dedicated to reproducing low-frequency sound effects. No matter how powerful your soundbar is, the full impact of your movies will never be felt if a dedicated subwoofer is not used. Click to open and download the image of "Types of Subwoofers". You have probably come across some numbers like ‘2.0’, ‘3.1’ or ‘5.1.4’. Typically, these numbers represent the number of discrete channels in a sound system. Each discrete channel is independent, meaning that it outputs an entirely separate and different sound signal from the rest. This is important especially when listening to multi-channel surround sound that mainstream movies are usually encoded with, where the surround sound effects are mapped by the sound engineers to be outputted to various channels depending on where they should be coming from based on what is happening in the movie scenes. Most soundbars simulate the surround sound effects using a technique called virtualization, which involves the cross-mixing/matrixing of the multi-channel sound information to give listeners the impression that they are listening to surround sound, even though all the sound is coming from the front of the room. However, soundbars with dedicated surround speakers have significant advantages in terms of delivering more immersive and precise surround sound that is closer to what the movie sound engineers intended. Click to open and download the image of "The Differences Between Number of Audio Channels". Dolby and DTS are the 2 companies who develop most of all the audio formats that mainstream video content is encoded in, including those found on online video streaming platforms like Netflix, Blu-ray discs, gaming and broadcasting. When such content is decoded by sound systems, the sound outputted is known to be rich, dynamic and of high-quality. The various Dolby and DTS audio formats are also widely adopted by movie theaters and production studios. Pulse Code Modulation (PCM) format contains an already-decoded Dolby or DTS audio signal. Since the audio is already decoded, it provides the best compatibility across the large variety of devices. However, it is not the most suitable format for reproducing the surround sound experience intended by the content producers. Click to open and download the image of "DTS Audio Formats". Click to open and download the image of "Dolby Audio Formats". Soundbars typically come with numerous connectivity options for connecting with content devices and TVs. 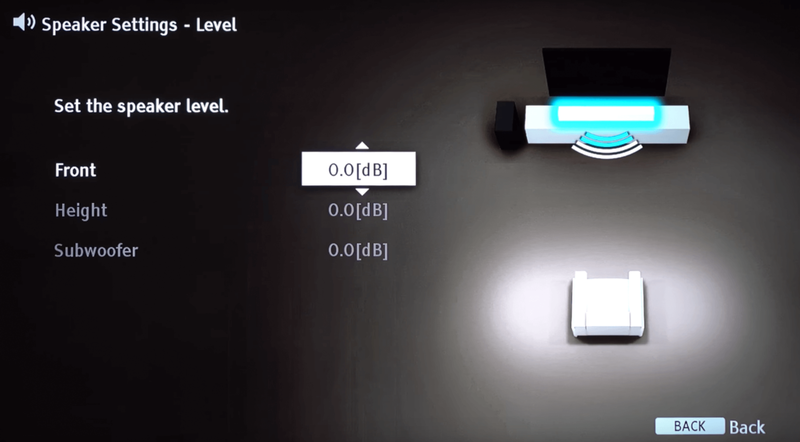 To determine the receiving and processing capabilities of your soundbar, it is important to understand each connectivity type. HDMI is the most advanced digital connection available for home audio and video products. It has a higher bandwidth to transfer high quality video format (4K UHD) and high quality multi-channel audio. HDMI also supports Audio Return Channel (ARC) for TV connection. You can send video and audio signal from soundbar to TV, and receive audio signal from TV to soundbar in a single HDMI connection. Optical and Coaxial connections are both in digital format for audio transmission. However, their outputs are restricted to Dolby Digital and DTS Digital Surround in 5.1 bitstream signal due to lower transmission bandwidth as compared to HDMI. PCM audio is also restricted to a 2-channel signal only. Click to open and download the image of "HDMI vs Optical / Coaxial". With at least Bluetooth connectivity found in all soundbars today, they can indeed perform well as living room speakers. Commonly, they are paired with mobile devices to play stereo content from platforms such as Spotify, YouTube and iTunes. Some soundbars also support higher bandwidth codec such as AptX, AptX-HD, AAC and LDAC, allowing the transfer of high-quality audio wirelessly via Bluetooth. WiFi connectivity is becoming increasingly popular in soundbars. As compared to Bluetooth, it allows devices to communicate with the soundbar within the same network, such that it is possible to stream music from anywhere at home instead of being constrained to the 33ft maximum distance from the soundbar (in Bluetooth). It also provides quicker access to online audio streaming services such as Spotify, Pandora and Tidal, online video streaming services such as Netflix, Amazon Prime and Google Chromecast, as well as the user’s personal network-connected library. 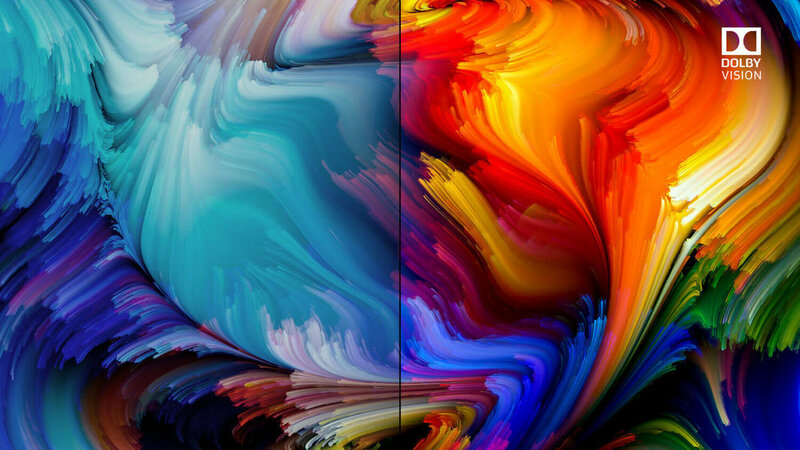 4K Ultra High Definition (UHD) is the up-and-coming high resolution video standard that is increasingly being adopted by streaming services including Netflix, Amazon Prime and Apple TV. Therefore, it is essential to have 4K compatibility on your soundbar today so that the high-definition video can be passed through to your TV. There are also hardware requirements for soundbars to send and receive 4K content, namely HDMI 2.0 and HDCP2.2 standards, so it is important to look out for them when buying a soundbar. Click to open and download the image of "HDMI Version Compatibility". There are multiple HDR standards available along with 4K UHD content to provide lifelike picture quality with dynamic contrast, high brightness and vibrant color. Streaming services such as Netflix and Apple TV are increasing the number of 4K HDR contents available for viewing. Click to open and download the image of "4K HDR Standards". User experience is also an important factor when choosing the right soundbar. The ease of control and navigation are critical for a hassle-free configuration and easy to use experience whenever you turn on the soundbar. On screen display provides visual feedback for more complicated features on TV. This feature is commonly found on the soundbars that come with network connection and built-in online streaming services that require user navigation during setup and content selection. Typically found on premium soundbars, LED displays provide visual feedback on volume level, input sources, audio settings, via the LED panel on the soundbar. Consumer Electronics Control (CEC) is a feature of HDMI designed to allow users to control devices connected via HDMI using only one remote control. For example, with CEC, the TV remote can be used to control the soundbar, set-top boxes and Blu-ray player that are all connected via HDMI. About every home theater device comes with its own remote but soundbars are an exception. There are some soundbars in the lower price range that do not include a remote but instead rely on programming the TV settings to enable soundbar control. However, it does not always work in practice, and only basic functions can be operated. If you want to control your feature-rich soundbar seamlessly, nothing beats having a remote. Sony, LG, Samsung Vizio and Nakamichi Dolby Atmos soundbars, released in 2018 and 2019. Click to open and download the image of "Sony Soundbars Comprehensive Comparison 2018 and 2019"
Click to open and download the image of "Samsung Soundbars Comprehensive Comparison 2018 and 2019"
Click to open and download the image of "LG Soundbars Comprehensive Comparison 2018 and 2019"
Click to open and download the image of "Vizio Soundbars Comprehensive Comparison 2018 and 2019"
Click to open and download the image of "Nakamichi Soundbars Comprehensive Comparison 2018 and 2019"
For the best soundbar buying tips, setup and most complete soundbar comparison, download the Best Soundbar Buying Guide. The complete soundbar guide with latest rating and pricing. Get yours today!